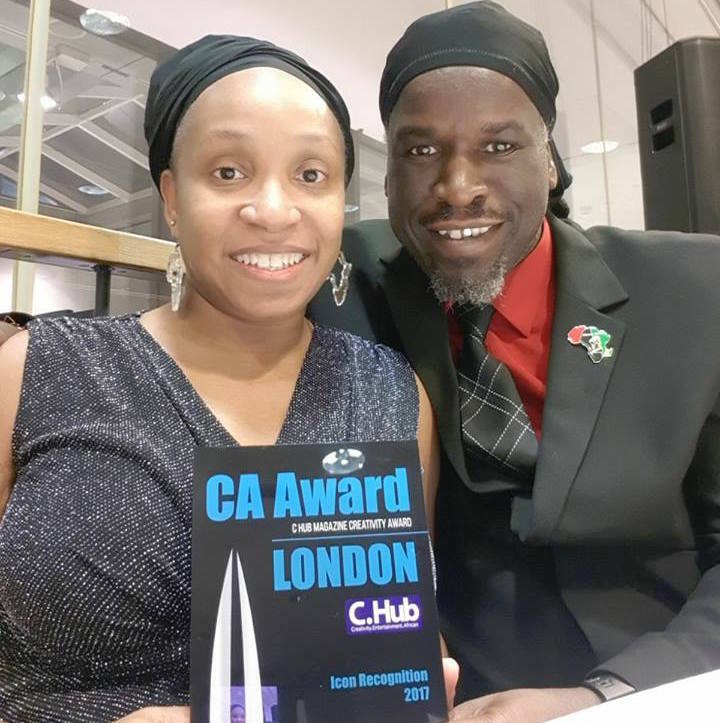 On Saturday 26th November 2017, we received the C. Hub Magazine ICON Recognition Award at the CAA Awards for leadership and contributions in preserving African History and identity, which was presented to us by Lee Jasper. Charmaine Simpson was selected to have receive AN INSPIRATIONAL WOMAN AWARD 2016 at the Mr & Miss Black Beauty Christ College UK Scholarship Pageant 2016 & Inspirational Awards which took place on Saturday 16th April 2016 in West London. 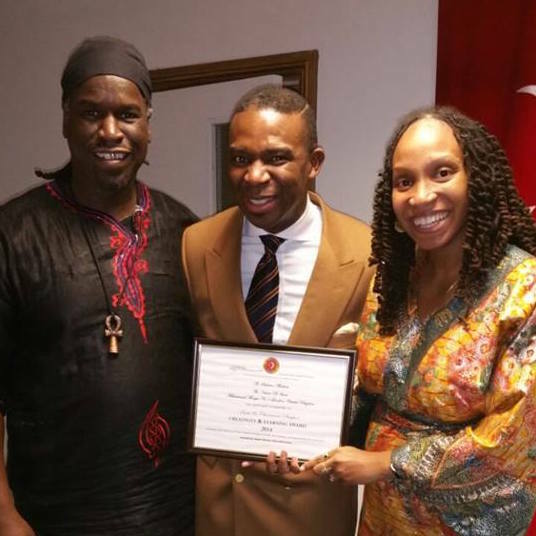 On Sunday 29th December, we were invited to an end of year dinner hosted by the Nation of Islam. We had a brilliant evening with good food and good company. Black History Studies was awarded a ‘Creativity & Learning Award' by the Student Minister Hilary Muhammad for our work in the community. For more photographs of the evening, click here. 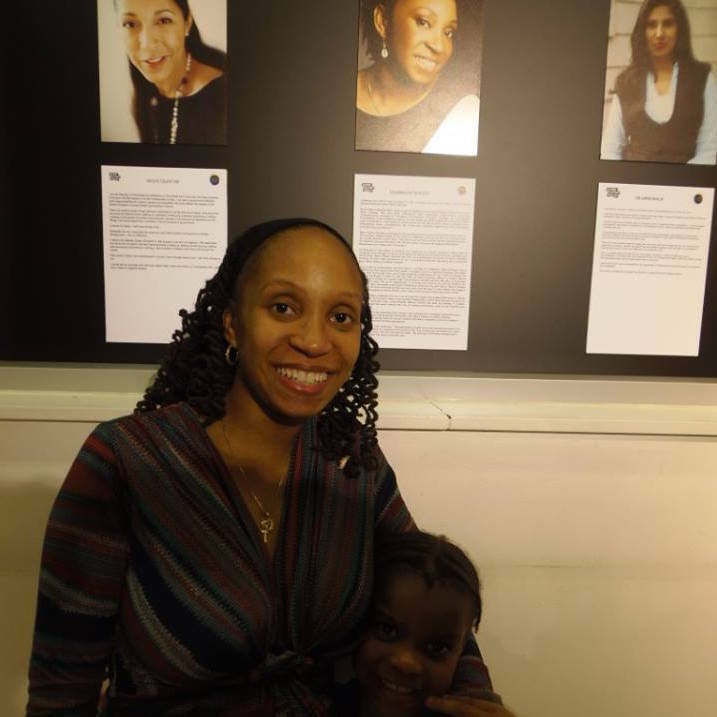 Charmaine Simpson was chosen to feature in the UCL Living History Exhibition as part of their Black History Month programme during October 2013. The images exhibited in the Living History Exhibition are all of people who are alive now- politicians, entrepreneurs, artists, media personalities, academics and many more who are making waves today, in order to promote a positive future. The images on display include Adam Afriyie MP, Ainsley Harriott, Amna Malik, Andi Peters, Andre Anderson, Andy (Ayo) Akinwolere, Angie Le Mar, Anjela Lauren Smith, Ash Ptsa Rahman, Aubrey Owusu, Charlene White, Cyril Nri, David Adjaye, David Ayo-Geogeous II, David Lammy MP, Dean Atta, Eli Anderson, Evadney Campbell MBE, Grace Ononiwu OBE, Heather Rabbotts CBE Helen Grant MP, Imran Khan, Jamal Edwards, Kulveer Ranger, Lord Adebowale, Manford Ncube Maria Adebowale, Patricia Gallan, Paul Sagoo, Prince Saprai, Ronke Phillips, Rushanara Ali MP Sal Idrris, Sanju Pal, Seyi Obakin, Shabana Mahmood, Simon Woolley, Speech Debelle, Steve McQueen and Tim Campbell MBE. 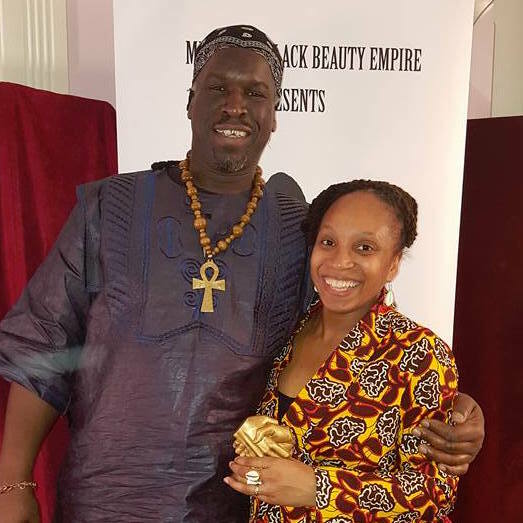 Black History Studies was awarded the BEFFTA EXCELLENCE AWARD at 5th annual BEFFTA UK Awards on Saturday 26th October 2013. BEFFTA would like to honour the Black History Studies for outstanding contribution to the community. Charmaine Simpson, the co-founder of Black History Studies has been chosen as one of the eight women out of 134 who have made a difference and have changed the UK in the Media Diversified #EightWomen poll. The announcement of the #EightWomen poll occured on Thursday 14th November 2013 in London. The other sisters in the poll are Alek Wek, Doreen Lawrence, Floella Benjamin, Moira Stuart, Camila Batmanghelidjh, Shami Chakrabarti and Rania Khan. Media Diversified is a non profit organisation. It is a place where writers of colour who have been unable to break in to the mainstream or been marginalized can publish their work. It is also a space for authors who have seen mainstream success to publish their lesser know essays. Our aim is to help writers and journalists of colour be published in national newspapers, magazines and get their voices heard in the broadcast media. We do this by giving them advice, contacts, promoting their work online and giving them a mediadiversified.com email address from which they can use to pitch to editors. On Saturday 3rd July 2010, Black History Studies was invited to the Black 100+ Photo shoot and Buffet Reception in conjunction with Lewisham Local Authority. 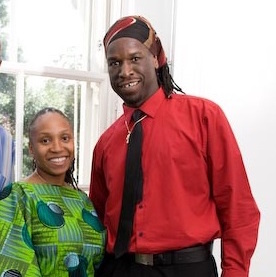 The Black 100+ Project and Lewisham Local Authority wanted to mark the first decade of this millennium with a historic photographic record of black achievement in modern Britain. We were invited to be featured in this exhibition, designed to inspire young people to excel and create a legacy for future generations, by highlighting your individual success and your valuable contributions to society. All photographs were taken by professional photographer Ayo Banton. To see the other nominated VIPs, Celebrities and Members of the General Public, please click here Created by Lorna Stewart, The Black 100+ Exhibition was officially opened in 2007 by His Excellency The Rt. Hon. Burchelle Whiteman OJ, High Commissioner of Jamaica along with Actor and Playwright Kwame Kwei-Armah and Councillor Mackie Sheik Deputy Mayor of Southwark. Participants included a range of VIPs, celebrities, well known personalities and members of the general public such as; Lenny Henry, Baroness Lola Young, Rudolph Walker, and many others. In its first year, The Exhibition was visited by over 3,000 people and was supported by interactive workshops about black history, inspiring children and young people, and professional development for entrepreneurs. It was heralded as a major success, with recognition on TV, radio and in print media.